Honorable all Indian Peoples and my dear friends, This day 15th August of every year is a golden day engraved in the history of the world. We got freedom on this date and it is a day worth a celebration. 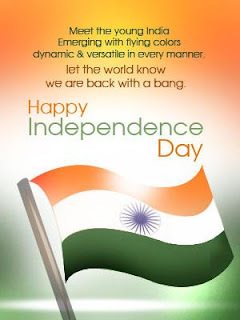 When we celebrate it hoisting the flag, playing our National Anthem with fervor, distributing sweets, we need to sail back into the past to remember and pay homage to the builders of our nation. 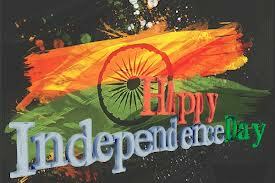 My dear friends, We were the privileged lot to have been born in free India. We were able to breathe the fresh free air since our birth. If at all we want to know the pangs of agony of being slaves under a foreign rule, we must ask our elders born before 1947. It was indeed a Himalayan task for every Indian those days to fight against those powerful giants – the British rulers. We must not allow those hard times and struggles fade away from our memories. Hence it is befitting for us to celebrate such National festivals and recall those heroic deeds of our National heroes. We remember them today. Right from Mahatma Gandhi to the local patriotic leaders we owe our gratitude. When we regard those martyrs who laid their precious lives for our sake, we must not ignore the common people who sacrificed their lot for the good cause. There were farmers, land lords, businessmen, teachers, writers, poets and students who helped the land achieve the long cherished freedom. 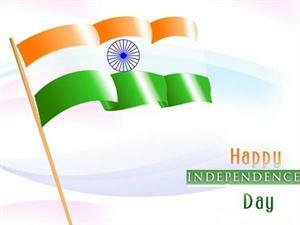 Today we have come a long way in the path of free India. We have proved ourselves worthy of freedom. 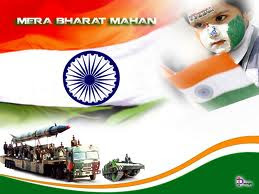 We are considered as the largest democracy in the world. How proud we were when Abhinav Bindra made our National Flag flutter and ‘Jana Gana Mana’ played at the background in Beijing? We are proud of it and feel very happy about all these positive aspects. But are we blind to the black clouds surrounding us? Are we very successful in using our freedom in the right manner? If so, why should there be so many bomb blasts, killings, attacks on government offices, cases against so many politicians and so many unstable governments? Well my dear friends, what can a student do at this juncture? Should we go and catch the terrorists? Should we fight against the corrupted politicians? Or should we take over the country into our hands by waging another war for freedom? No, we are not expected to do all these things. We must keep observing things around us. We will have our own day. Before that, let us do our duty of preparing ourselves to be well-educated citizens of tomorrow. Let us do our duty sincerely and study hard to achieve a goal. Today we require youngsters with lot of knowledge and energy. Illiteracy is the first enemy for a democratic nation. Let us get rid of illiteracy and take India to a bright future. Nice Blog. Thank you for sharing such a great informative blog. I also want to share a bit of information about 4 bhk flats in noida extension which is the wonderful project in Noida. Pretty awesome blog and appreciable posting. But I was looking for recharge and was looking to Independent Villas in Bangalore Anyways it was a nice blog. Thank you so much for this information. Migsun Wynn Greater Noida which are due to the use of modern civil technologies like RCC framing, MIVAN Technology, and water proof paint for walls. For more information please visit on PROPSHOP. Thank you so much for this information. Ajnara Le Garden is an auspicious inception of Vaastu Compliant residential housing project in the heart of the metro city, Greater Noida West, comprising 2, 3 & 4 BHK premium residential apartments by Ajnara Homes, a world’s leading real estate brand. For more information please visit on Propshop. very helpful post thanku for sharing with us ....Thanks for sharing such a useful information about best vastu consultant noida. For more details about best vastu consultant in noida visit this website. Nice blog. Your dream above at Supertech Eco Village2 Greater Noida West is being offered for the 2, 3 & 4 BHK premium residential apartments ranging from 890 to 1660 sq. feet of living area with fully furnished and decorated interiors. Ajnara Le Garden Noida is planned to craft and design 2, 3 & 4 BHK ultra modern residential apartments ranging from 995 to 1795 sq. ft which will decorate your own kingdom with trendy and handy technologies such as RCC framing to ensure robustness, and MIVAN technologies to ensure style and stunning look. Cont. 9873471133, For discount* in Trump Tower Gurgaon. World famous ultra luxury 3/4 BHK Starts booking @25Lacs. Residential Apartment Delhi NCR in Sector 65 Gurgaon On Golf Course Extn. Road; With world class modern features & amenities. Thanks for sharing us knowledge about resident property in India. I really like to share this blog. Mahagun Mantra is brand new project at Sector 10 Noida Extension.